TVS Apache RR 310 Beats KTM RC 390 & Duke 390 Combined! 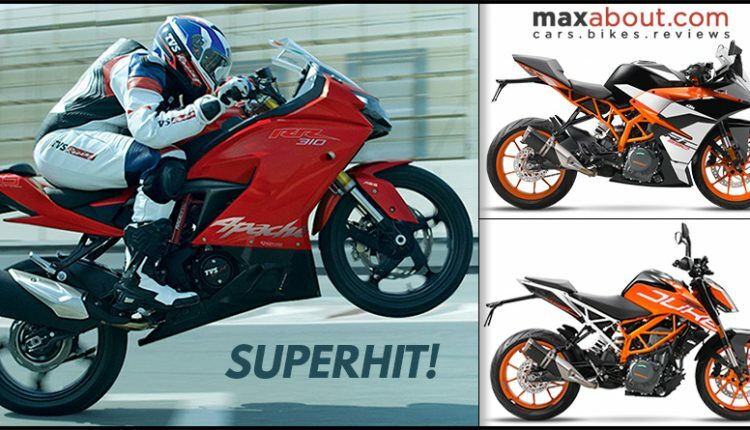 Apache RR 310 Beats KTM RC 390 & Duke 390! TVS Apache RR 310 won over KTM RC 390 and 390 Duke in terms of monthly sales in April 2018. This sporty newcomer was good for 862 units while both KTM bikes were good for just 800 units in this 30 day period. More than that, fans would be surprised to know that KTM’s dealership network is almost 6.5 times larger than 51 limited dealerships for TVS Apache RR 310. Demand for flagship TVS racer has gone up in last few weeks, even after getting a price hike of INR 8,000 for no serious reason in the Indian market. 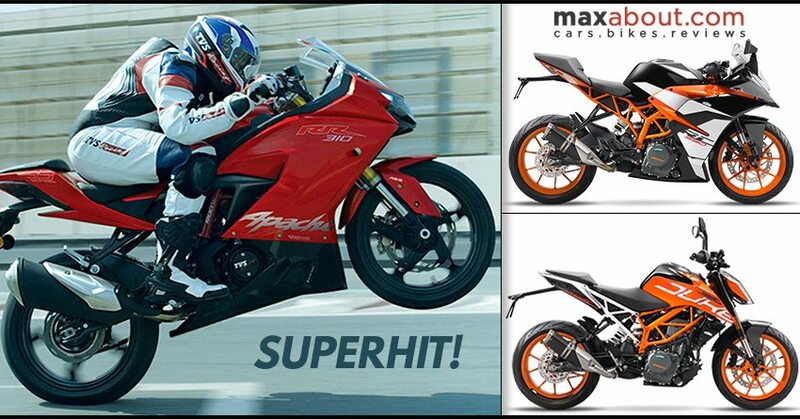 Apache RR 310 Beats KTM! Waiting periods vary by state to state as few dealers are quoting 15 day delivery period while others expect buyers to wait for good six months before the motorcycle arrives for delivery. TVS could have made things better by doubling up their production capacity as this would have helped them keep both cost and delivery under check. The Akula based sports bike uses a 312.2cc, single cylinder engine producing 34 HP and 27.2 Nm. 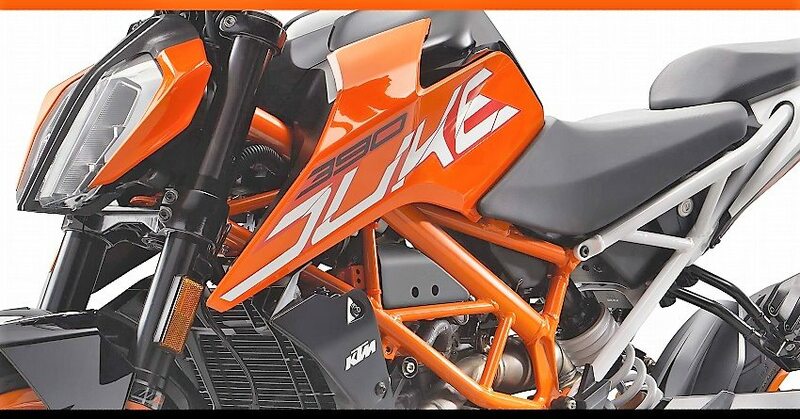 KTM duo is more powerful for sure but it seems like buyers want something interesting in India. 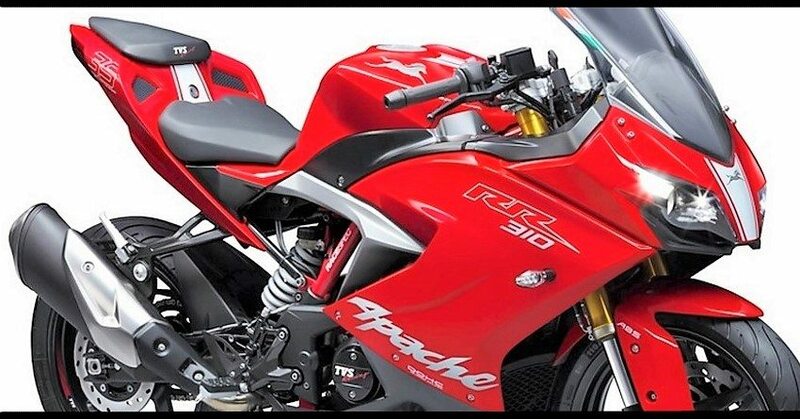 Apache RR 310 is priced at INR 2.23 lakh. In comparison, KTM 390 Duke comes at INR 2.39 while RC390 is placed at INR 2.36 lakh. All prices are ex-showroom Delhi.